If you have a guinea pig, you probably know that they are perfectly capable of keeping themselves clean, neat and sanitary by grooming themselves throughout the day. However, you need to learn how to bathe a guinea pig under certain circumstances which we’ll soon mention. In general, most experts do not recommend bathing guinea pigs until it’s absolutely necessary. This is because bathing cavies involves many risks which we will also cover in this how-to article. For the times when bathing is needed, we have prepared a detailed tutorial with a lot of useful tips, dos and don’ts. 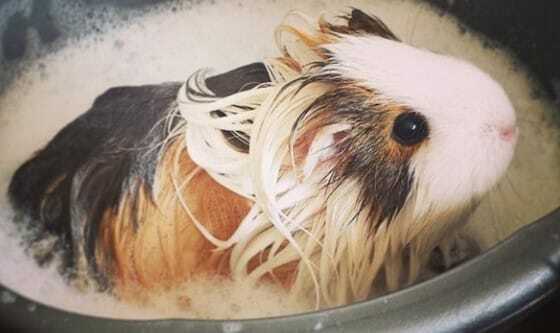 When and how often should I bathe my guinea pig? Guinea pigs should not be bathed very often. They are prone to respiratory infections. They can easily catch a cold which may develop into pneumonia, so you must be very careful to keep your piggy warm during wash time. Some owners bathe their guinea pigs once a month during the summer and every two months in winter. A bath may also be necessary if you notice that your cavy really needs one for reasons of health, because of parasites or if your vet says so. As a rule of thumb, bathing your guinea pig more than once a month will do more harm than good. It also puts your pet at risk of skin infections and catching a cold, not to mention injuries and falls due to improper handling them during bathing. Guinea pigs don’t like water, bathing or being wet at all. If you live in colder parts of the country or bathe your beloved piggy during winter, when you bathe your guinea pigs and not dry them off properly, for instance, can get them ill in no time. Short-haired guinea pigs need a bath only about every three months. Long-haired guinea pigs should be bathed every two months since their coats grow at a rate of about 1 inch per month. As for the reasons why you should bathe your cavy, never bath your pet just because of their smell or because you think they will look prettier after a bath. In fact, do not bathe them for any cosmetic or aesthetic reason. If your buck smells quite unpleasant, sometimes neither castration nor bathing is the right solution. What is? Well, cleaning their bursa perinealis and glandula caudalis is always the better option for your cavy with less stress and fewer risks involved. Bathing can be useful if the pig’s fur is highly felted, which might be the result of bad hygiene by the previous owner, or even you, for that matter. An occasional bath is also useful if you need to clean out dead parasites. If you’re not sure whether cavy has a parasitic infection, consult your vet. Another reason for a bath may be if a bladder infection caused your pet’s rump to be wet. If that’s the case, you should only bathe the rump. In addition, diarrhea could make its rump get dirty and contaminated. Again, you only need to wash the rump. If your cavy is seriously ill and cannot clean itself you should brush/cloth clean it after taking it to the vet, of course. 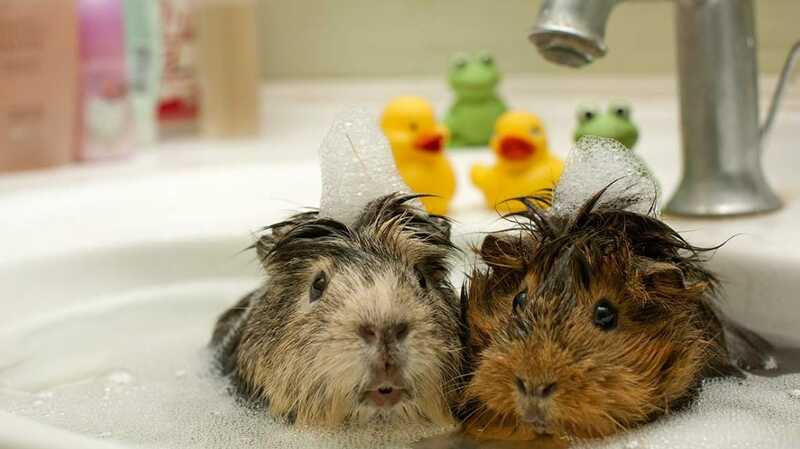 Guinea pigs’ fur and skin are not made to be exposed to water too much, let alone too frequent bathing. Cavies’ glands produce adequate quantities of oil so they don’t need baby or other cosmetic oils. An unnecessary baths change the natural oil balance and also dry pig’s skin. As a consequence, your pet will be more susceptible to parasites like biting lice or mites. The regeneration of the small layer of oil on the skin, once it’s been disturbed, may take weeks. Apart from the health risks, bathing causes your pet a lot of stress and when their immune system is low, they become more vulnerable to infections and parasitic infestation. Also, bathing is very stressful for your cavy which favored the population of parasites too. So there are really not many good reasons to bath your cavy. If your Guinea Pig is fit and happy you must not bath it, especially not if you just like it or you might think it smells. To sum up, do not bathe your cavy because you like bathing it or think a bath will make it look cute. In addition, accept the fact that they have a specific odor and don’t bathe them because of their smell. Before bathing, make sure you have enough time to bathe and dry your pet. If you have more guinea pigs, bathe them all in one go. We recommend this because guinea pigs are very scent-oriented animals and if you bathe only one of them and put it back into the cage with the others, they will possibly try to fight the freshly bathed piggy because of its new smell the others won't recognize. Guinea pigs don’t like water and they are not accustomed to it. They don’t like swimming either and can easily get very stressed when you try to bathe them. 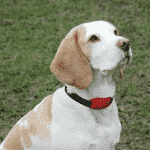 One of the most concerning risks is the chance of your pet inhaling water into their lungs. If this does happen, your cavy will need medical care as soon as possible. Then, there is also the risk of injuries from falls due to the poorly chosen bathing spot (inadequate sink or a bathing container at a dangerous height) and the wrong technique. Another risk is being uninformed about the bathing of your guinea pig choosing a shampoo and conditioner which are not suitable for guinea pigs and can cause irritated and dry skin. You are not preparing it for the Piggy Pageant. Use a suitable shampoo recommended by your vet. Lastly, bathing is very stressful for piggies so make it safe and short but dry them thoroughly. Do not forget that your guinea pig doesn't need a bath just because it has certain smells which are natural for them. A lot of guinea pig owners mind the smell of urine and think that their guinea pig needs a bath when, in fact, the bedding, which smells of urine, needs to be changed. What’s more, we sometimes fail to recognize that the bedding we are using is inadequate. For instance, newspapers simply aren't absorbent enough and therefore do not eliminate the unpleasant odor of urine. The fact remains that the only time a guinea pig really needs a bath is if they have been signed off by a professional exotic vet, have a sticky or resistant substance in their fur, or have remains of feces or for medical reasons. Baby guinea pigs should never be bathed unless there’s a medical reason confirmed by your vet. Exposing baby guinea pigs to cold water can be critical to their health. The same rule applies to pregnant sows which will get way too stressed, which may affect the babies they are carrying. Prepare a suitable shampoo for your guinea pig. Do not use any human, cat or dog shampoos on your cavies. Their skin is different from other animals and humans and using the wrong shampoo can cause dry skin irritation or oil imbalance. Some sources recommend dust treatments to keep guinea pigs clean. Guinea pigs are not like hamsters and do not naturally take dust baths. It’s simply not effective for cavies to use dust as a grooming agent. Dust is, in fact, quite harmful to guinea pigs and can cause respiratory problems, so avoid using dust baths completely. Whatever bathing spot/container you choose to use, it needs to have the sides which are tall enough so that your guinea pig can’t to jump out and get hurt. There are several options for where you can bathe your guinea pig. You can use your sink, the tub, or in a portable plastic tub on the floor. If your cavy does not need a full-soak bath, have a damp cloth on hand and use it to clean the piggy. It can be a lot easier and safer for your guinea pig instead of using a tub with water, especially if they only have a few dirt patches on their rump. Guinea pigs generally do not like water and may become anxious or freak out you just drop them in a tub. Be gentle with your guinea pig, stroke them and chat with them while preparing the bath and carrying your piggies to the bathing area. If you have more piggies, wash them all in one go but do it one piggy at a time: they may get frustrated otherwise and hurt each other. This will make the process longer but safer. You will need a suitable shampoo recommended by your vet (preferably a critter care brand), a shallow basin or washtub, a dry towel, guinea pig brush and an optional hair dryer. If you don't have a shallow tub, you can easily bathe your guinea pig in a normal bath or sink as long as it is safe and comfortable for your guinea pigs and you. Bear in mind that using a sink is a hazard and make sure your guinea pig cannot run off the edge of the counter, fall and hurt themselves. If you’re not sure when and if you should bathe your precious piggy, do consult your vet. They will know if bathing is needed in the first place and they’ll give you some useful tips and recommend the shampoo. You should only fill your container with about one inch of warm water in height so that the water comes up to your guinea pigs feet. Any higher level of water brings the risk of your piggy inhaling the water into their lungs. Don’t use hot water as cavies’ skin is sensitive but don’t use cold water, either in order to avoid the risk of your piggy catching a cold. Warm water is the safest and most pleasant option for your guinea pig. Allow your guinea pig time to get adjusted to the new, wet environment. Never leave your guinea pig unattended in the bath to avoid all safety risks. Keep your guinea pig calm and give them a treat or two to entice them to bathe, and make them feel relaxed and safe. Soak your guinea pigs body until their fur is wet. Avoid water contact to the face and ears, especially the nose and mouth. Try using your hands to rinse your guinea pigs fur. This is a less stressful option to simply pouring a cup of water over them. You can cup your hand behind your guinea pigs face to avoid getting water on their ears and face. If your guinea pigs face is extremely dirty, use a damp washcloth to wipe off the dirt but avoid wetting their eyes, nose, ears, and mouth. Never pour water straight over their face as they will become stressed and inhale the water. Pour a small amount of guinea pig –friendly shampoo into your hands and gently rub it into your guinea pigs fur. Make sure not to be too rough as their skin is sensitive. Again, avoid shampooing their face and ears. Carefully wash the rump and body, including the belly. Pour warm water over your guinea pig until all the shampoo has been completely washed off of your piggy’s fur. Dry shampoo left on their fur will cause skin irritation. After you finish bathing your piggy, wrap them up so that the dry towel you have prepared before bathing absorbs as much of the moisture as possible and keeps your guinea pig warm. 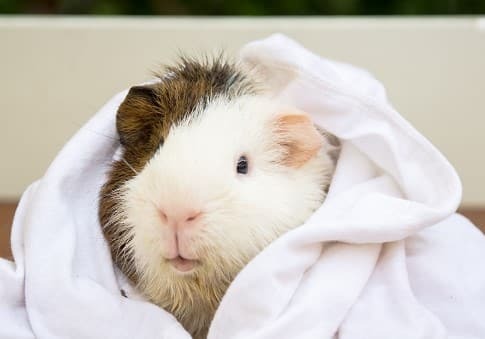 Do not be alarmed if your guinea pig starts shivering - this is natural and they should stop shivering after they have been fully dried. Do replace your towel when/if it gets too wet to soak more water. You should gently wipe your guinea pigs eyes, ears, and nose only if required and if they are particularly dirty. Use a damp cloth to get rid of gunk collected on the face. If you haven't done this before, ask your vet to show you how to properly clean your piggy’s ears, nose, and eyes. Do it slowly, be gentle and take precautions. You should be blotching your piggy’s face, not rubbing it. Be extra careful with the eyes so as not to poke them. This part is especially important if you have a long-haired guinea pig. You want to make sure to get all the tangles out of their fur to prevent matted fur from developing as matted fur will be much harder to untangle later and may need to be cut off. Although hair dryers are effective, they don't have to be used to dry your guinea pig, especially if the noise and the heat cause them to freak out or become stressed. To use your hair dryer on your guinea pig, put it on the lowest heat setting and the lowest speed. Continue to brush your guinea pig while using the hair dryer. Do not rely on a heating pad to keep your guinea pig warm or dry. Guinea pigs have sensitive feet along with their skin. Heat pads can also damage their tiny feet and you do not want that to happen after a successfully carried out bathing routine. Even the best guinea pig cage won't keep your piggies happy, clean and healthy unless you clean it thoroughly before bathing so that freshly bathed cavies go back into equally clean home! 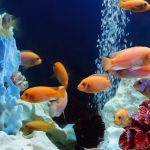 We do hope this article was informative and helpful! Do read it a few times before deciding to bathe your guinea pig. Let us know how your first bathing went in the comment section below!